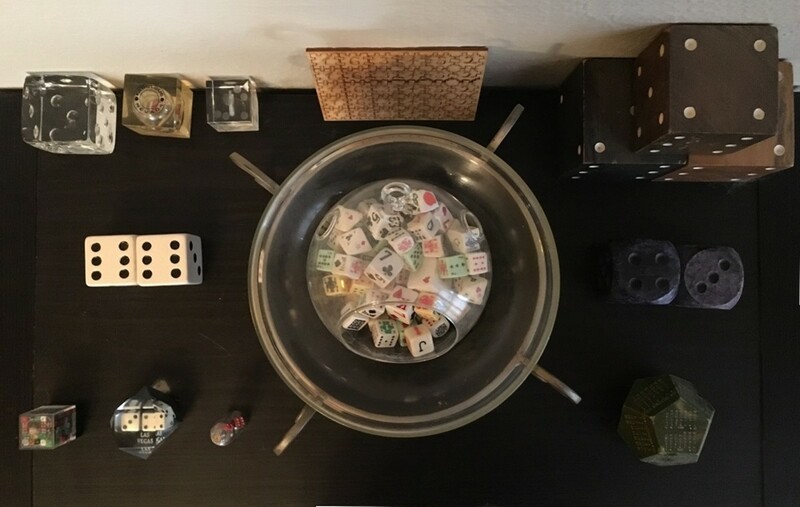 I have been collecting dice for over 20 years, displayed them for public viewing, and even won awards for my collection. 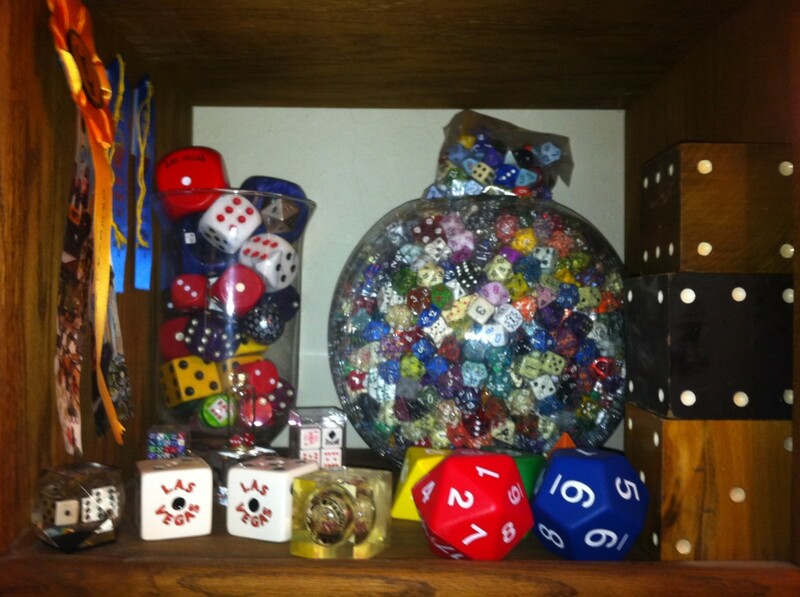 This article covers what you need to know before you "roll" into the hobby of collecting dice. Yes, I just made a dice joke. Do you currently collect dice? No, but I'm looking to start. No, but I'm curious about it. 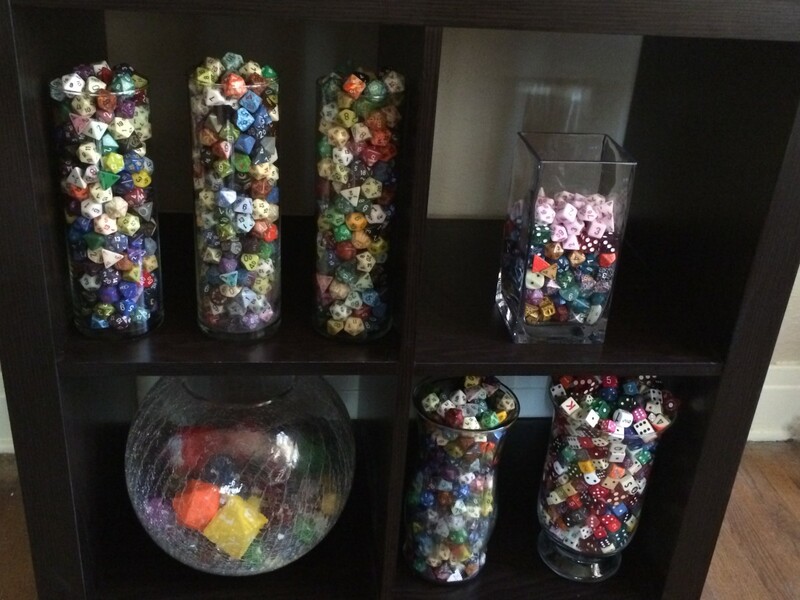 There are multiple ways that you can display a dice collection. You can lay them out on a flat surface or you can place them in containers to show them off. More about this will be featured later in the article. You can find dice in a variety of places. Las Vegas, online, and many stores sell a large variety of dice. Though eventually you'll need to turn to specialty or online stores to find the more unusual dice. With the right tools and materials you can make sets of dice yourself. However, this can be an expensive process, so going through sites such as Kickstarter could be the best way to get the funds. You will never run out of dice to add to your collection. New types of dice are being produced frequently. Kickstarter is a great place to find dice if you are willing to take the risk. Some unusual and unique dice can be found through Etsy and other sites like it as well. Dice are easy to gift. Just tell family and friends to give you dice for special gift-giving events and you will always be surprised. Even if you receive duplicates, it's still more dice to add to your collection. Dice can also be made into other types of items. Salt and pepper shakers, pillows, necklaces, coasters, and dice you hang in your rear-view mirror can be included in your collection. People will be into your collection. Dice are sturdy and don't get that dirty. So, let friends and family handle them. Each time dice are handled and manipulated, your collection will look new and different for the next person to enjoy. Dice can cross over into other collections. 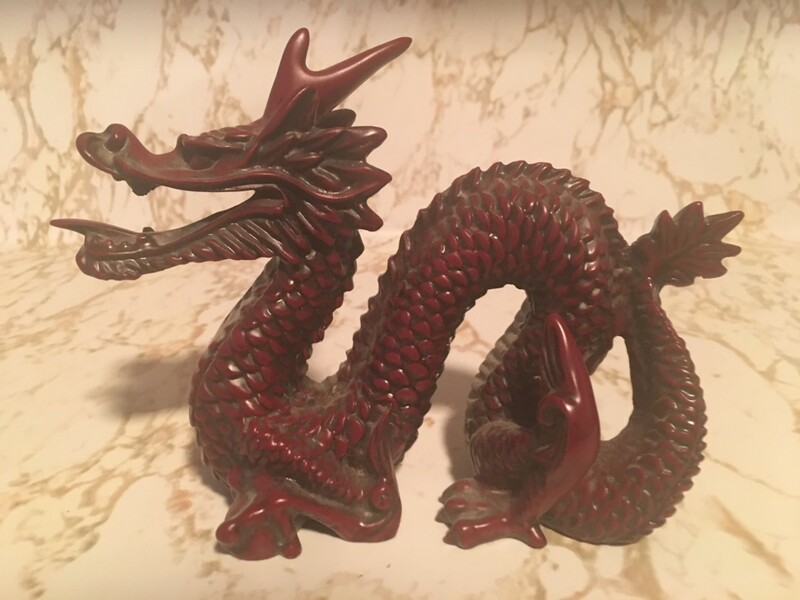 There are Las Vegas dice, Star Trek dice, animal dice, and other types of dice that you could display with your current collections. No simple way to organize and sort your collection. It will be difficult to tell if you have two of the same die, making organization difficult. I am sure it is possible, but it would be extremely time consuming. The costs can skyrocket. Specialty made dice, as well as older sets of dice, can go for a lot of money. 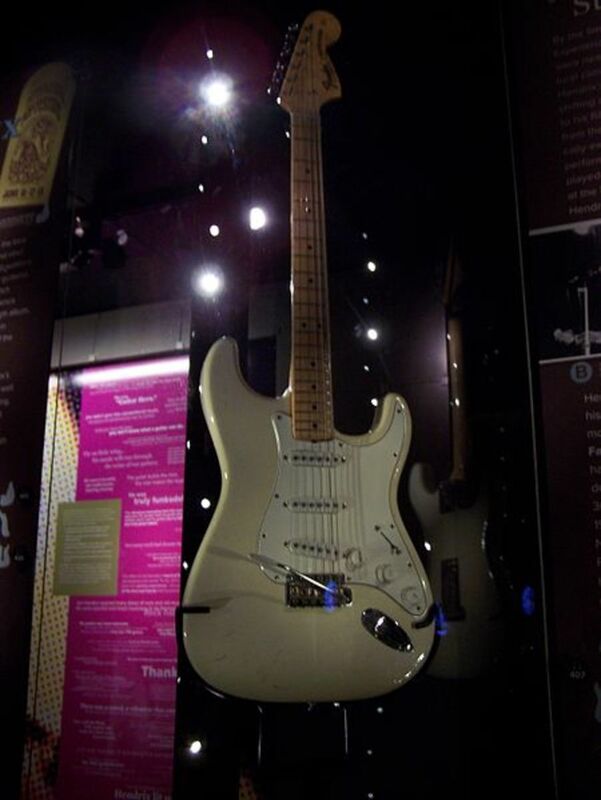 If you want the best of the best then you can be expected the fork over a lot of money. However, this isn't required for dice collecting. Transporting them can be a pain. When I moved from an apartment to a house I had to pack my dice collection. It was difficult and very heavy to transport. Setting them back up took a lot of time and didn't look the same as I had it before. Plus some of the dice did break due to the extreme weight put on them by other dice. You will get duplicates - often. 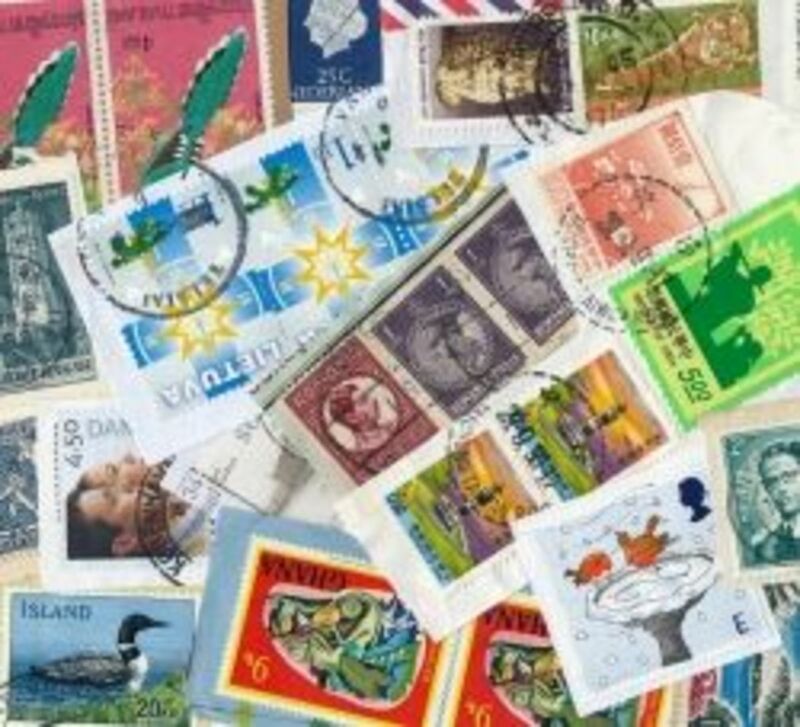 Unless you know each die one-by-one, you will have duplicates in your collection. If you are someone who likes having a collection of unique items, then dice are not for you. It's easy to be taken. There is no guide that says how much dice are really worth or if one die is nicer than another. You have to trust your own judgement. You shouldn't be in this for the worth of the collection anyway. You should be doing it because you enjoy collecting. They are easy to lose. Dice tumble and roll around easily. I have lost quite a few after moving or organizing them a different way. They are also not a child's toy, so keep them out or reach of children as they are a choking hazard. You will never run out of dice to add to your collection. I know this was listed as a pro, and to me it is. But if you like having a complete collection of dice, you will never achieve that. What do you consider is the biggest con in starting a dice collection? The cost of buying dice. Keeping all of the dice organized. Bowls - Bowls are one of the easiest ways to display your collection. If you have multiple bowls, you can have different types in each bowl. The only problem with large bowls is that they will bury a lot of your dice which will remain hidden or have the potential to break. Display boxes - Small display boxes have the advantage of displaying off a small, but unique, set of dice. A flat surface - If you have the room, you can lay out all of your dice. If you have a glass plate above them, that will prevent them from being moved or played with. Separate the large from the small - Larger dice take up more space, so they can require a larger container. It's a good idea to keep those away from your smaller dice. Use unusual display cases - Fish tanks, vases, and other unusual containers can make your collection stand out. Just use something clear so your collection can be seen. 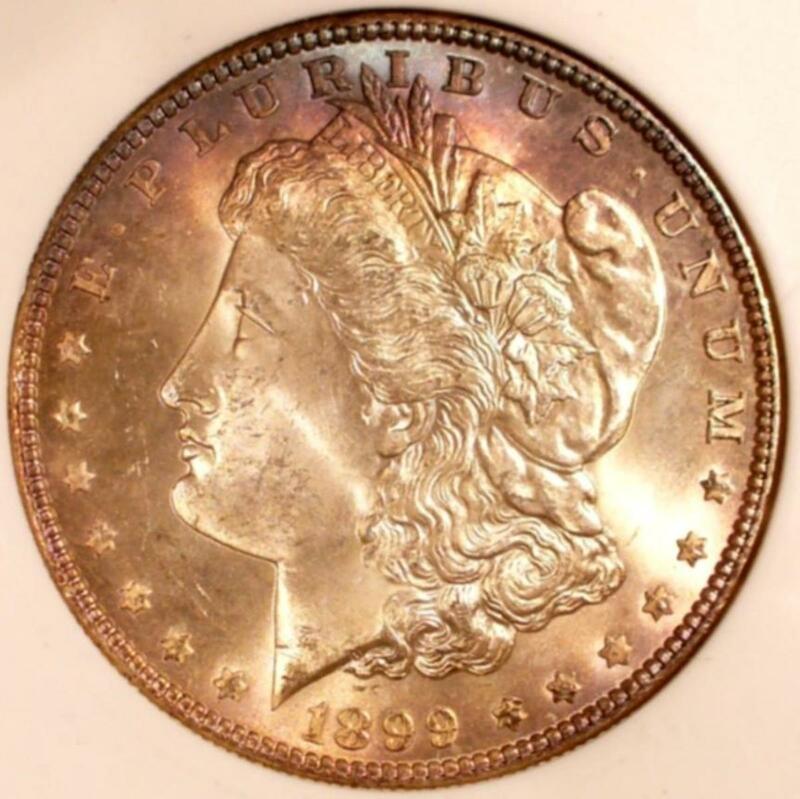 I Started my Collection with a "Pound-O-Dice"
Below are some interesting facts about dice for those who are interested in collecting. 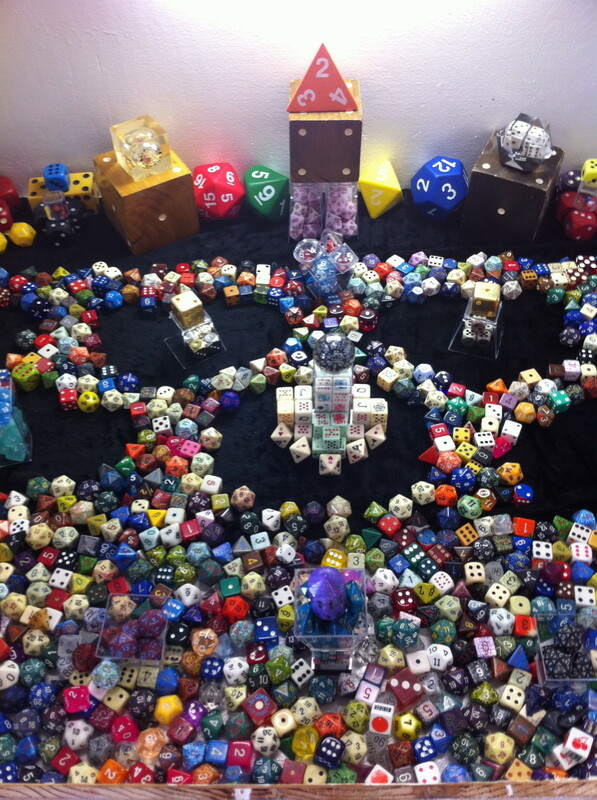 Kevin Cook has the world's largest dice collection with over 10,000 dice. Known uses of dice for gaming and gambling pre-date recorded history. Dice used to be made out of bone and ivory. More recently dice are made out of plastics. 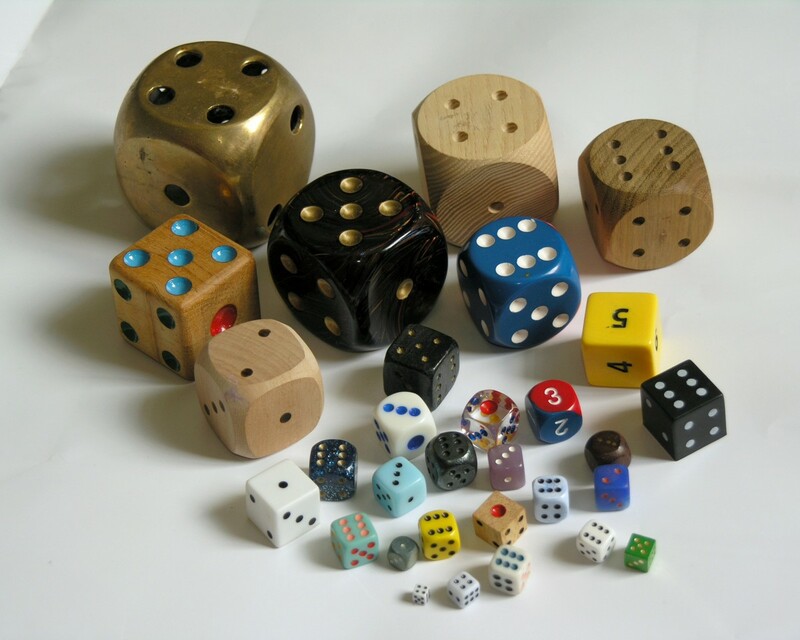 Dice can also be made out of wood and stone, but usually are not used for gaming. Dice can have numerous sides. The most common being 4, 6, 8, 10, 12, and 20-sided. The rarer varieties can range from 1 to 100-sided. Dice come in a variety of sizes, colors, and unusual shapes. Las Vegas and other gambling establishments use dice for Craps and other gambling games. Their dice are considered to be 'precision' dice. They are made in such a way to prevent cheating. Dice grew in popularity through board games and Dungeons and Dragons. Dice are used in D&D to determine the outcome of random events. Why collect banknotes as a hobby? That's tough. My only recommendation is to go through each dice and figure out what you like and what you can let go. Sorting helps with that, but it's a very time consuming process. But it's the best way to get rid of duplicates. Very excited to see that there are other people out there that have this hobby. I have been collecting for 25 years or so and approximate that I have about 3,000 (mostly Chessex) in my collection. Recently have decided to down-size my collection and would appreciate advice on a way to do this. 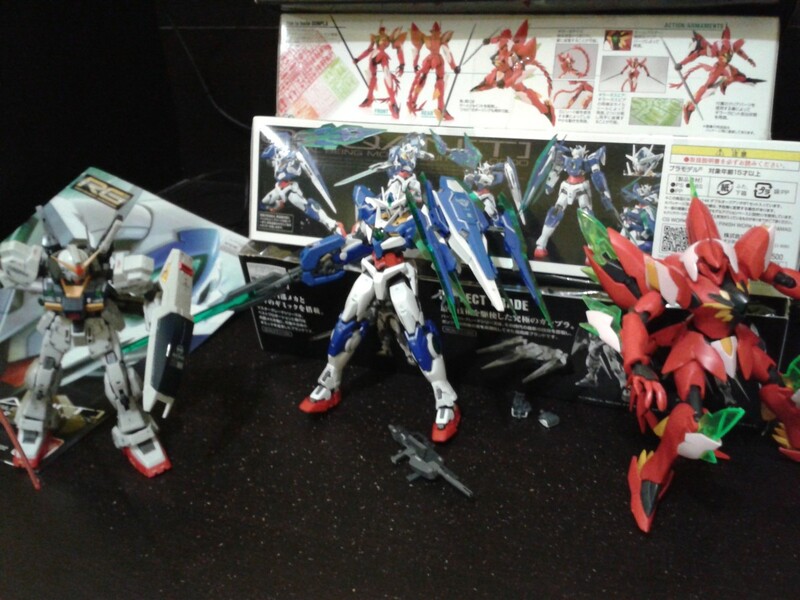 My collection is small compared to some other collections I have seen. Thanks for the comment. 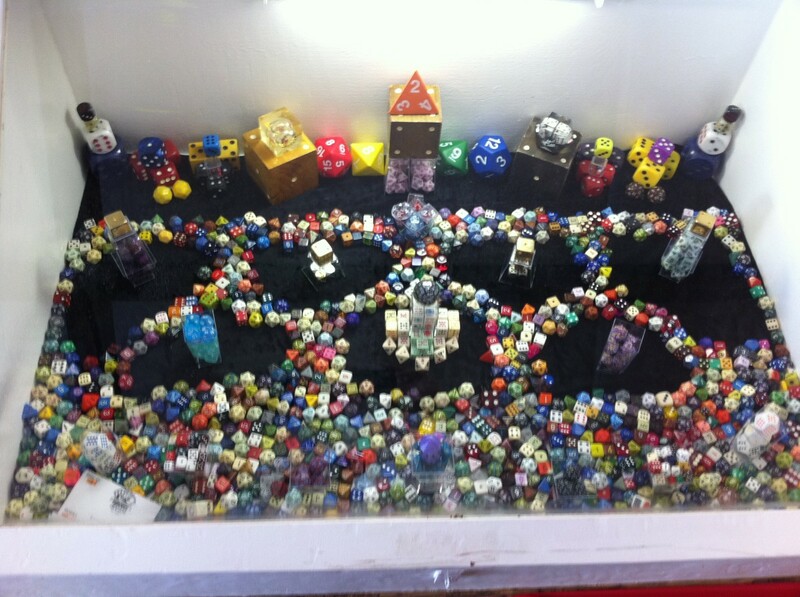 Now that is a lot of dice, an interesting hobby but I think it's quite a cool one. It's funny you mention that, I collect card decks as well. Though that display is nicer than my dice. Thanks for the compliment! Very nice set of dice you have, I'm a little jealous. I used to collect playing card decks, then I started collecting dice. But since seeing the show "Hoarders" I've tried to keep my collecting impulses in check for fear that I might someday have a house filled with game pieces. Thank you very much. :3 Glad you enjoyed it. An interesting and entertaining hub. 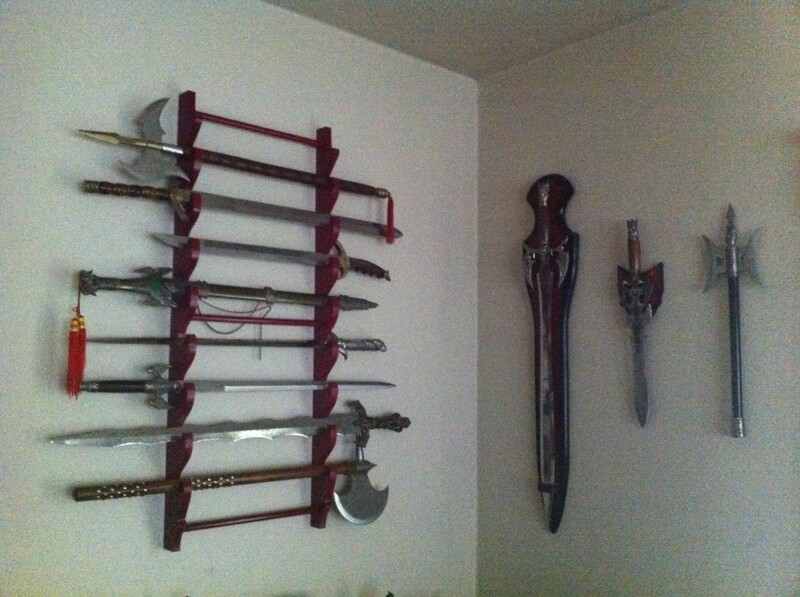 I liked the personal touches and the photos of your impressive collection.